Living Trusts | The Law Offices of Eric A. Rudolph P.C. A living trust (also referred to as a revocable living trust or revocable trust) ensures that after you pass away your property is easily distributed to your beneficiaries without the complications and costs of probate. A living trust also allows you to retain full control over your property and make any changes to your living trust during your lifetime. Revocable living trusts allow you to retain full control over trust property while you are still alive. After you pass away, your property in your trust is transferred quickly to your beneficiaries without the complications and costs of probate. 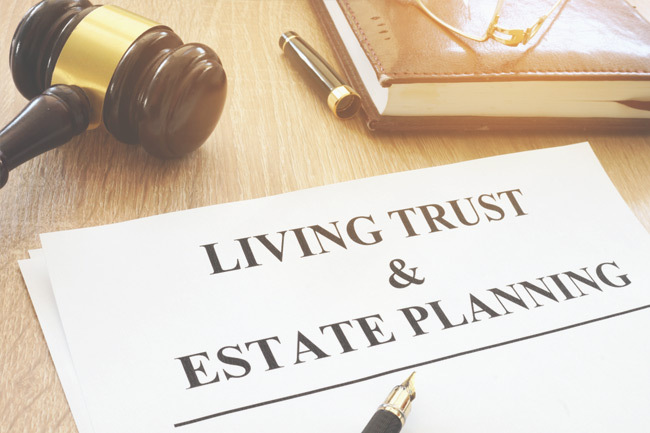 Revocable living trusts are very flexible estate planning devices because they allow you to transfer some or all of your property by trust. Also, revocable living trusts are not made public upon your death, unlike a will that becomes part of the public record after going through probate (thus protecting your family’s privacy). Also, a revocable trust can be revoked or changed at any time, for any reason, while you are alive and have capacity. Because you may change it at any time, you effectively own all the property you transferred to your revocable living trust and can do what you want with that property, including sell it, spend it, borrow against it or give it away. You create a living trust for your benefit or the benefit of your loved ones during your lifetime. Your living trust is created by a legal document that includes instructions setting forth to whom you want to leave your assets and who will manage your assets if you become unable to manage them. A living trust allows you to maintain control of your assets while making sure the assets are managed according to your wishes upon your death or incapacity. Once you establish a living trust, the next step will involve transferring your assets into the trust, such as real property and personal property. After the transfer, these assets still remain in your control. Furthermore, transferring assets to your living trust will not trigger federal gift, estate, or income tax consequences because, although the assets are held in the name of you as the trustee of your living trust, you are still considered the owner for tax purposes. The revocable living trust is typically used instead of a will. The primary reason to have a trust is to avoid or minimize court costs and legal fees associated with probate. Probate fees can range anywhere from 3%-7% of your total estate. The assets placed in the living trust are not subject to probate or estate administration. A revocable living trust can be a valuable estate planning tool to help you maintain control over your assets during your lifetime and at death. A living trust may be used as a substitute for a will, allowing flexibility for lifetime changes such as marriage, partnership, divorce and children. A living trust can also help you reduce or eliminate probate and administrative expenses when your estate is settled. By creating a living trust, with the assistance of an experienced estate planning attorney, you can lower estate costs and fees and avoid unnecessary taxation at the federal and state levels. The Law Offices of Eric A. Rudolph P.C. can help. An experienced California estate planning attorney can provide you with more information on preparing and funding your revocable living trust. Preparing the best estate plan for your individual needs. Estate Planning Attorney, Eric A. Rudolph, Esq. proudly offers a full range of specialized estate planning and living trust services. His dedicated guidance has helped many Palm Springs families, couples and individuals avoid financial and legal pitfalls.